On November 26th 2010 the Google homepage was taken over by a Pippi Longstocking Google Doodle celebrating the 65th birthday of the fictional character. In the quirky Pippi Longstocking Google Doodle, the second “G” of the Google logo was replaced by a cartoon illustration of Pippi, accompanied by her pet monkey Mr Nilsson. Pippi was depicted using her superhuman strength to raise a horse above her head with a single hand in the Pippi Longstocking Google Doodle. Pippi Longstocking, or Pippi Långstrump in her native Swedish, was the brainchild of the Swedish author Astrid Lindgren, Pippi was the main character in a series of children’s books. 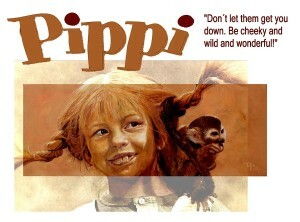 Pippi’s name was chosen by Lindgren’s daughter Karin. The character was born when nine year old Karin asked her mother to write her a get well story when she had a day off school due to illness. The character of Pippi Longstocking is an unconventional yet assertive nine year old girl. She also possesses superhuman strength and is easily able to lift her horse, as depicted in the Google doodle. Much of Pippi’s widespread appeal to children can be attributed to her unorthodox attitude towards adults. Throughout the stories Pippi regularly mocks adult characters and is often incredibly rude to adults, particularly those who are condescending to children. Similar to Peter Pan, another children’s character, Pippi does not want to grow up. Pippi lives in a small Swedish village, in her home which she names “Villa Villekulla”, with her pet monkey and horse. Notably in the children’s books, Pippi’s horse is unnamed, however in television and film adaptations the horse has a number of names including Horatio, Alfonso and Lilla Gubben, which is Swedish for “little old man”. Unusually for a child, Pippi lives alone without adult supervision. Due to spending her early life at sea, Pippi has limited literacy and numeracy skills, despite these setbacks she is competent at a number of housekeeping skills and is shown to cook her own meals and care for her animals. Pippi is the daughter of the seafaring captain Ephraim Longstocking, who is captain of the ship “Hoptoad” or “Hoppetossa” in Swedish. It is from her father that Pippi inherited her superhuman strength and common sense. Ephraim bought Villa Villekulla in order to provide his daughter with a stable life. During the stories Ephraim is believed to be lost at sea, Pippi however is convinced that her father is still alive. It is revealed that Pippi’s belief is true as her father was washed ashore on a South Sea island called, “Kurrekurredutt Isle”. The native people made Ephraim their leader and called him the “fat white chief”. Ephraim returned to Sweden in order to take Pippi and her pets to his new home on Kurrekurredutt Isle, however Pippi declined due to her attachment to her close friends and neighbours, Tommy and Annika. Astrid Lindgren wrote three full length Pippi Longstocking books, these were as follows, “Pippi Longstocking” published 1945, “Pippi Goes Abroad” published 1946 and “Pippi in the South Seas” published 1948. There have been numerous film and television adaptations of the stories, including the 1984 Soviet television film entitled “Peppi Dlinnyychulok” and the 1997 animated television series which appeared in both Canada and America. Lindgren’s Pippi Longstocking novels have been translated into a total of 64 languages globally including Persian and Vietnamese. In addition, Slovenia’s most popular children’s festival which is held annually in Velenje is named “Pika’s Festival” in tribute to the legacy of Pippi Longstocking. This is not the only time the Google Doodle team have paid doodle based tribute to a fictional character with this Pippi Longstocking Google Doodle. Asterix the Gaul and the animated duo Wallace and Gromit, among others have also received doodle tributes. Amplify Your Content and Get It Seen! Facebook Pages and Groups or Both?